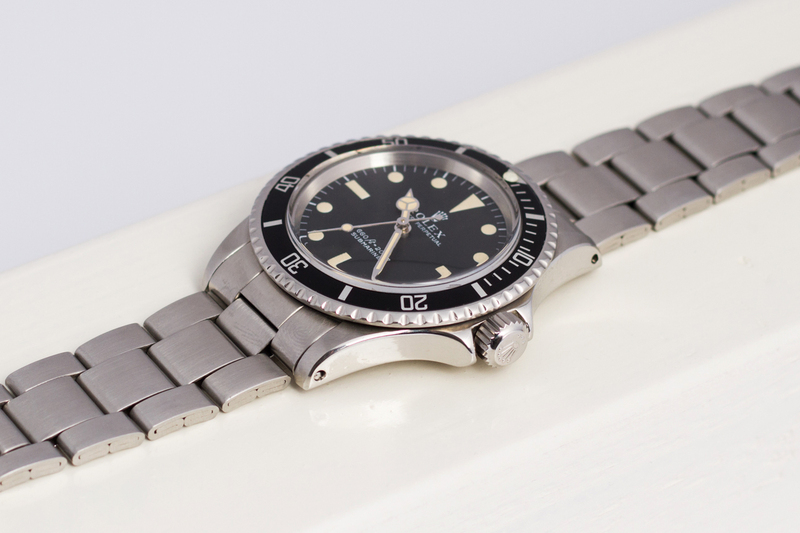 We all know the wonderful stories about the Rolex Submariner. About the amazing quality and durability, about how these watches accompanied their owners to large depths in oceans all around the world, to stay submerged for hours on end without any problem what so ever. 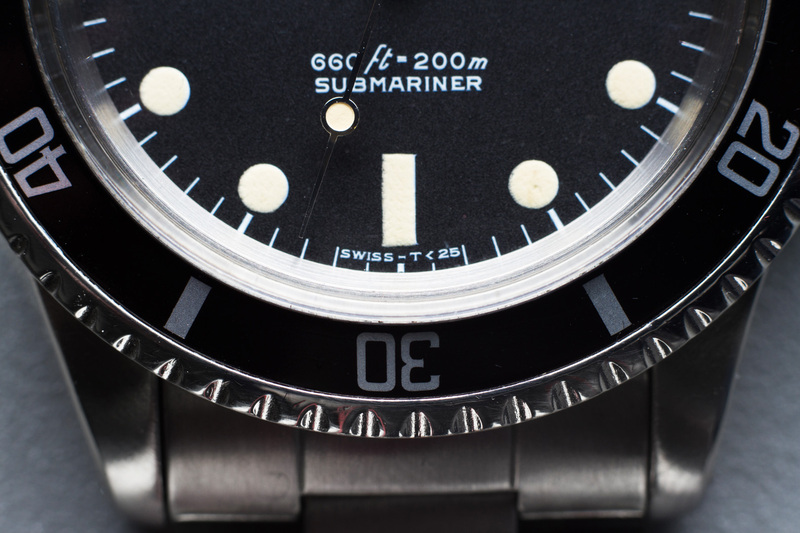 About Rolex and the French company COMEX and how this partnership eventually birthed the Rolex Sea-Dweller after testing certain Submariner watches. 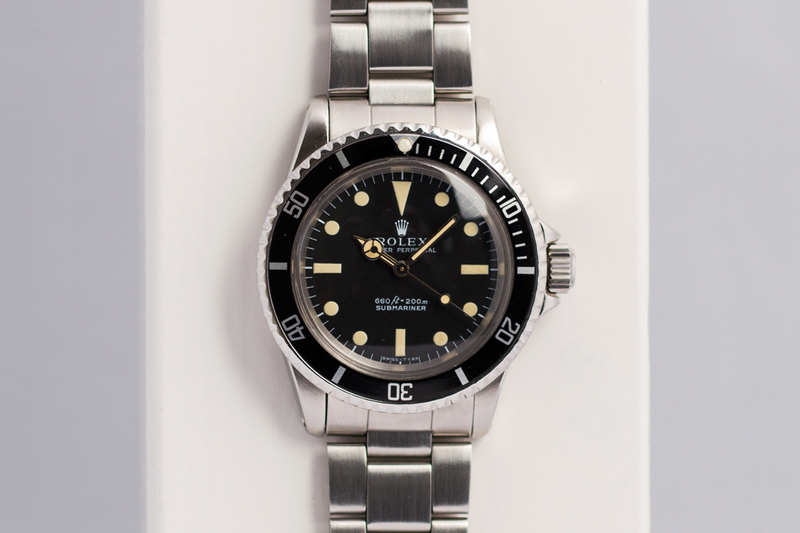 And of course about the fact that James Bond used to wear a Rolex Submariner! (before the big Omega endorsement). The late Roger Moore for instance, can be seen wearing a Rolex Submariner reference 5513 in two of his biggest JB movies. Hell, till this day, the current Bond – Daniel Craig, wears a vintage Rolex Submariner (amongst others) in his spare time! The 5513 Submariner we’re showing you here has a wonderful creamy color on all the markers and on all three of the hands. The discolored Tritium has a warm glow and is nice and even all-over. The matte black dial is truly pristine and shows no damages or signs of moist or water infiltration what so ever. 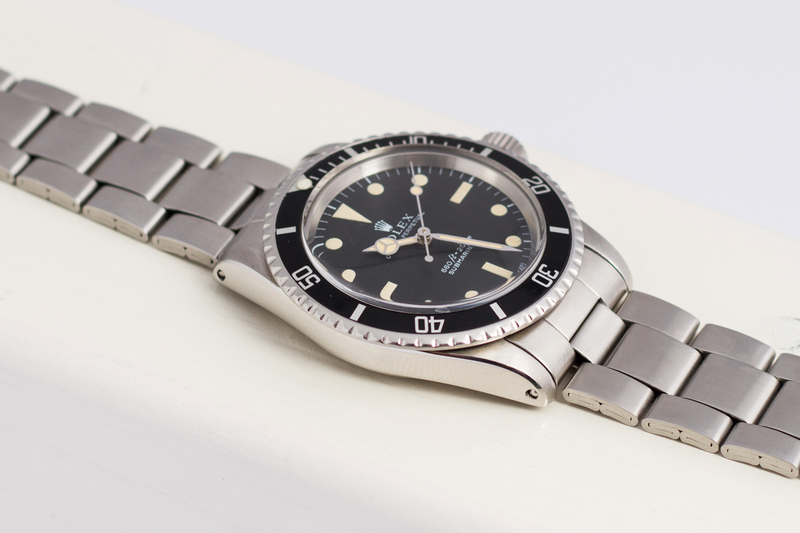 The bracelet on this 5513 is a folded 9315 Oyster bracelet and is in more than fair condition. The black inlay shows some very small marks of wear while the Tritium pearl inside the triangle on the 12 position has been replaced at some time, but the overall condition is really nice and clean. This 5513 visited the Rolex Service Center in 2014 via WEMPE Germany and received the full Rolex Service treatment. 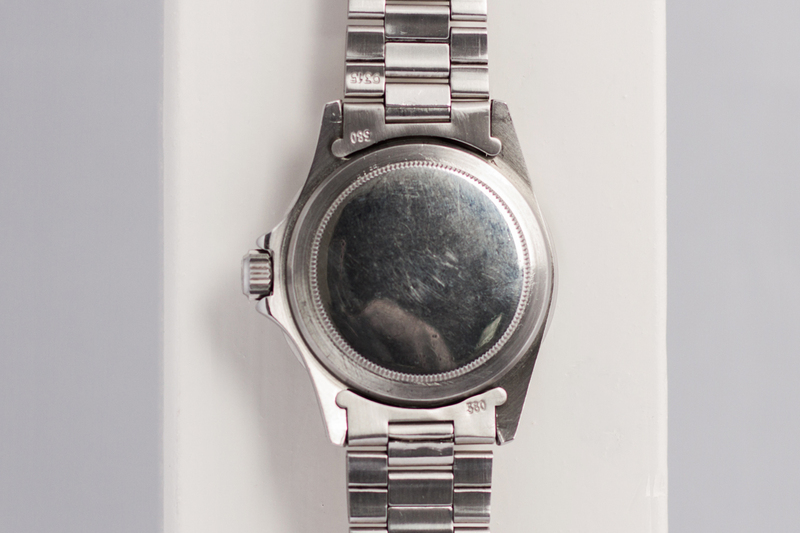 As to be expected with a watch that’s over 46 years old, the case and bracelet have been polished but the wonderful patina, perfect dial and overall Vintage glow make up greatly for that polished steel! The watch has been fully checked and tested by our watchmakers and will be available with a 12 month warranty. 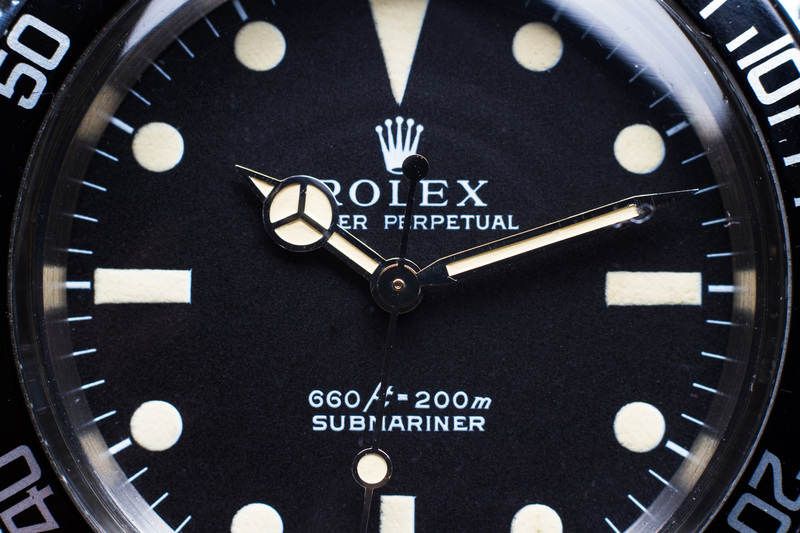 box and papers: This 5513 comes with Rolex Service Center paperwork via WEMPE Germany.